March 19 is the Festa di San Giuseppe or Saint Joseph’s Day. Legend is that in Sicily and southern Italy during the 10th century, a drought caused a severe famine. 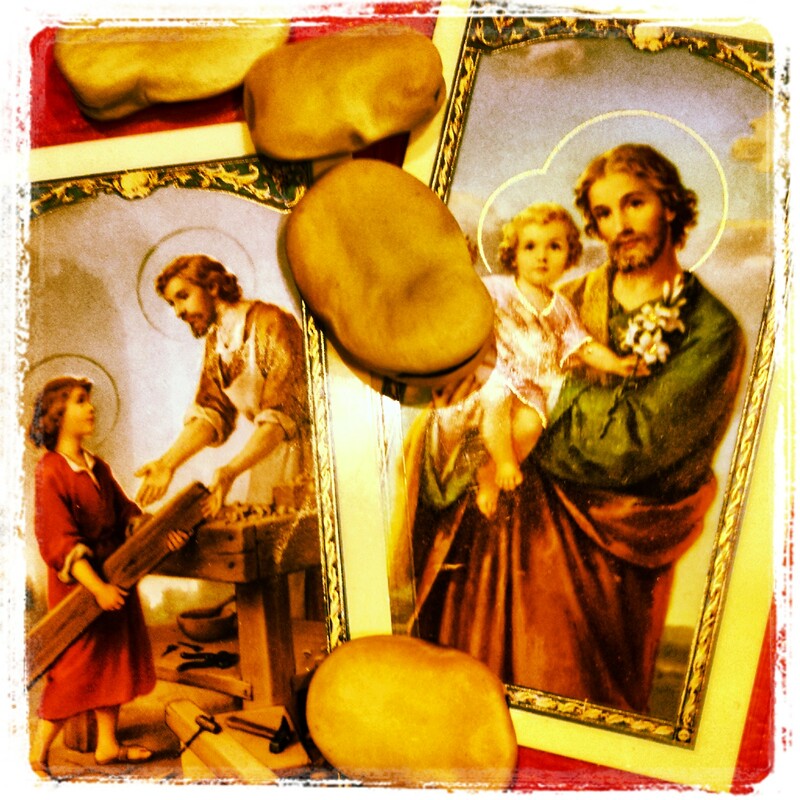 The faithful prayed to Saint Joseph to bring rain, and in return, they promised to hold a feast in his honor. Rain and recovery from hunger did come, and since then, Saint Joseph has been one of the most venerated saints south of Rome. Many Sicilian feast tables will include macco, a dried fava bean puree. Fava beans are recognized as having saved the population from hunger back in the 10th century because they were the one crop that thrived during the noted severe drought. Macco is eaten as a mash, spread on bread or as a soup, with or without pasta. Read the full story on The Inquisitive Eater. Fascinating-I had not heard of macco. I’ll have to read the article. Thanks! Adri, Yes, macco is a traditional fava bean soup. With some sausage on top, it is excellent!